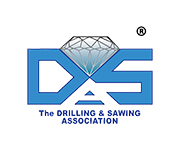 HUSQVARNA will be present at the Hall A1, Booth number 137 and it is Gold sponsor of IACDS networking event and Diamond Award ceremony in BAUMA 2019. HUSQVARNA CONSTRUCTION, a division of the HUSQVARNA GROUP, is a world leader in machinery and diamond tools for the construction and stone industries. The foundation is built on user-centric innovation and providing best-in-class service and customer support. Products and services are distributed globally in all relevant sales channels. In 2018 revenue was SEK 5.76 billion, when adding the full year effect of recent acquisitions, generating an EBIT of about 13%. 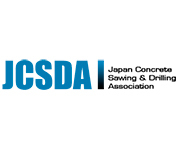 The company globally serves 4 main business segments: Concrete Surfaces & Floors, Concrete Sawing & Drilling, Light Demolition and Natural Stone. The equipment and related diamond tools are primarily used in the renovation and construction of commercial properties, in infrastructure projects such as highways and bridges. HUSQVARNA does business in over 100 countries and has employees in 40.